Louisiana’s courtwarming activites were held earlier this month but the games against Elsberry had to be cancelled on Jan. 11 due to weather. The courtwarming games were rescheduled for last night, Monday, Jan. 28. Coronation was held between the varsity girl’s and boy’s games. 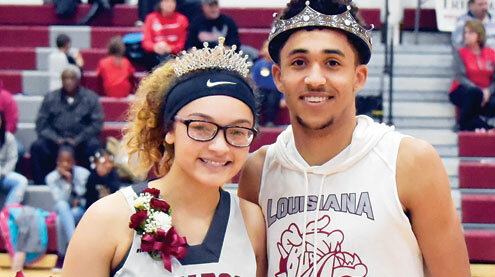 Kamara Combs and Derek Richards were crowned king and queen. Find court photo on page 11 of and more online at www.thepeoplestribune.com.